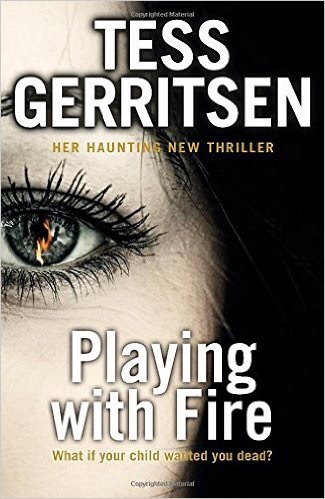 I really like Tess Gerritsen’s books so I was really excited for this new one. It was very different to the sort of novel she has written before and it started off really well. A bit of something creepy that makes the hairs on the back of your neck stand up and I really liked it. The story focuses on Julia a violinist who finds an old book of gypsy tunes in an antiques shop in Rome. Inside the book a loose sheet falls out containing a handwritten piece of music by an unknown composer. On arriving home in America Julia tries to master the tune on her own violin but everytime she plays, strange and dangerous things start happening. As Julia investigates the origins of this unusual tune in order to save her own family things take an even more sinister twist. Running parallel to the main story is the story of Lorenzo a young Jewish man living in Venice during world war 2. It tells the story of his love for an Italian girl and his life during the war when the Jewish people are captured and taken to concentration camps.